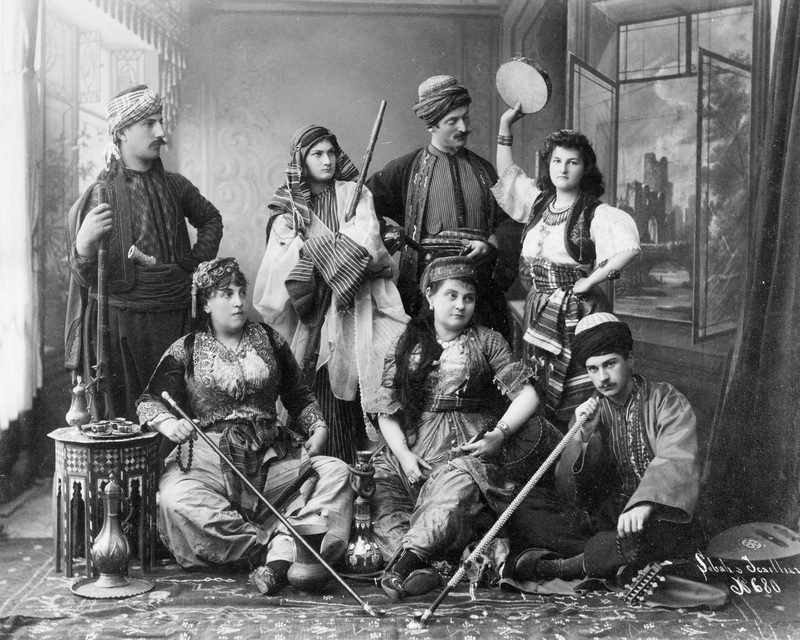 Women and men in Ottoman costume. Sebah & Joaillier, ca. 1890. The exhibition Journey to the Center of the East 1850-1950: 100 Years of Travelers in İstanbul from Pierre de Gigord Collection, which opened last week at the Istanbul Research Institute, tells the tale of İstanbul-centered travels of curious Westerners, who ventured out to the East from the 18th century onwards to quench their thirst for knowledge and discovery in their respective areas of interest. The movement of “Traveling to the East” was part of the “Eastern Question.” Encompassing continental Europe in the 18th century, the idea opening up to the “Levant” from the “Grand Tour” was transformed throughout the 19th century. Initially traveling on behalf of academic institutions, missionaries and all kinds of amateur researchers that have left their studies behind, set foot on Eastern lands in order to discover the world of Antiquity, collect information on social life, and follow in the footsteps of ancient myths. 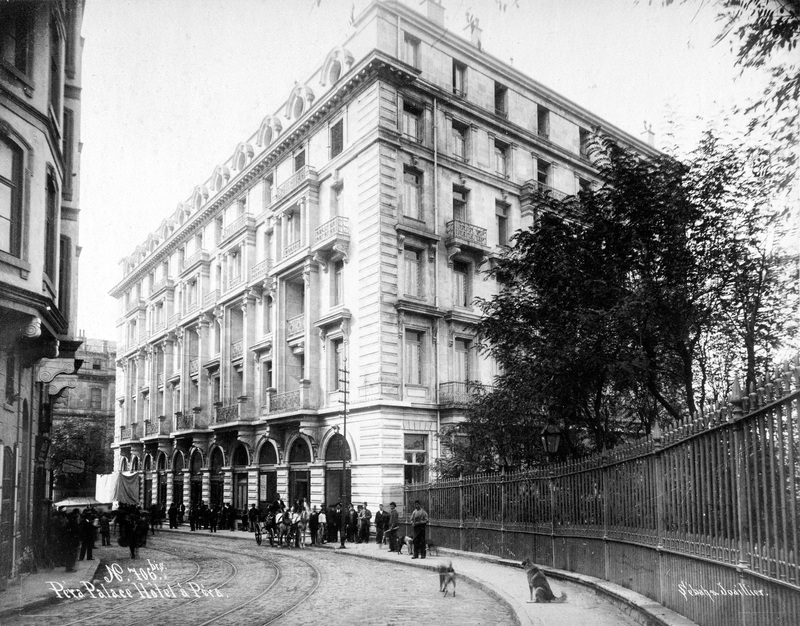 Pera Palas Hotel. Sebah & Joaillier, end of the 19th century. 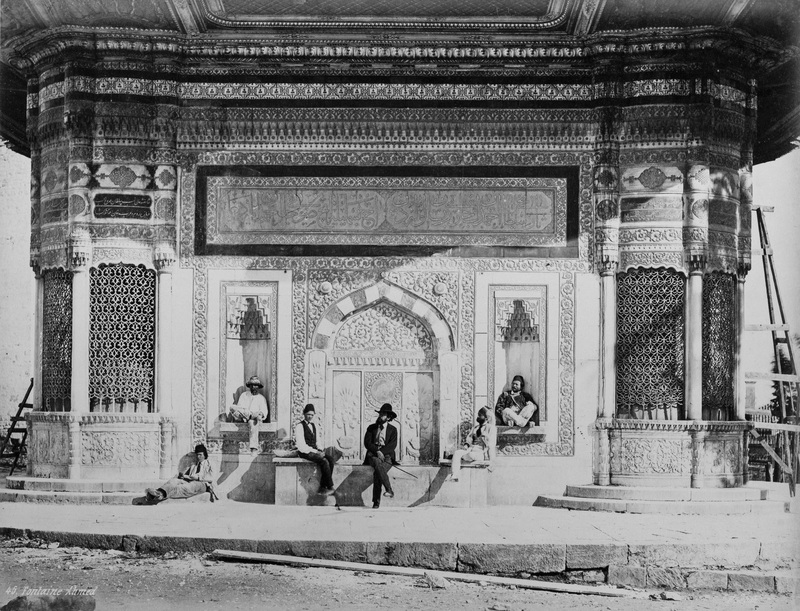 Pascal Sebah (middle) at the Fountain of Ahmed III. Pascal Sebah, ca. 1870. Penning the classics of travel literature, these travelers were followed by tourist groups after the Crimean War. Guided by travel companies instead of academic institutions, these curious crowds began to appear in almost all parts of İstanbul. They were obsessed with the Eastern image the previous generation of travelers had created: the Sultan’s harem, whirling dervishes, stray dogs, and female sexuality hidden behind the veil and the chador were the most provocative aspects of this image. 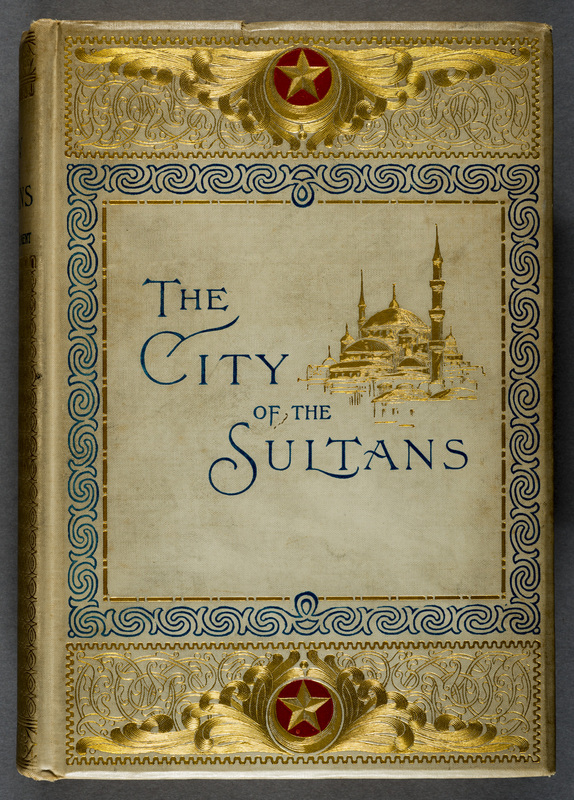 The repertoire of the itinerary was roughly the same: Sultanahmet Square, Saladin Mosques, the Grand Bazaar, the Spice Bazaar, Beyoğlu, the Bosphorus, and the Prince’s Islands… During the same period, mass tourism gave rise to hotels in the city. 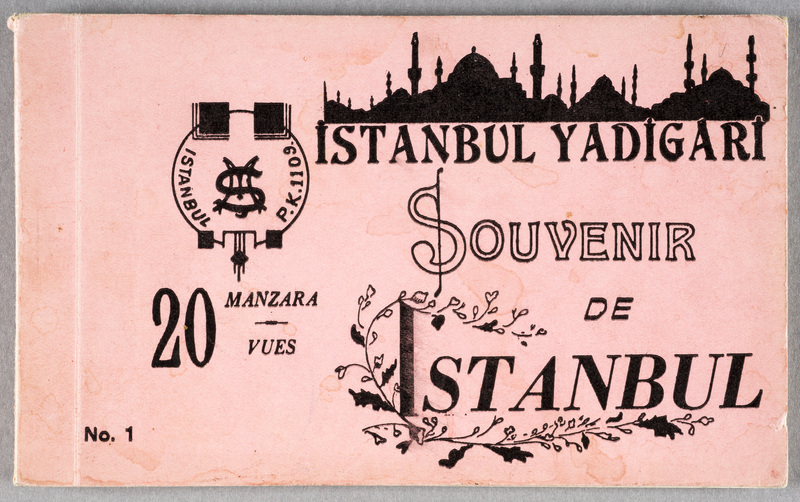 Hotels such as Londra (London), Tokatlıyan, Bristol, and Pera Palace opened their doors to European tourists as well. Throughout the years, the slogan of the “travelmania” instigated by the “Eastern Question” remained the same: Travel Liberates! Clara Erskin Clement, ‘Constantinople. The City of the Sultans’. Esles & Lauriat, Boston, 1895. Journey to the Center of the East 1850-1950 100: Years of Travelers in İstanbul from Pierre de Gigord Collection can be seen free of admissions until October 17.